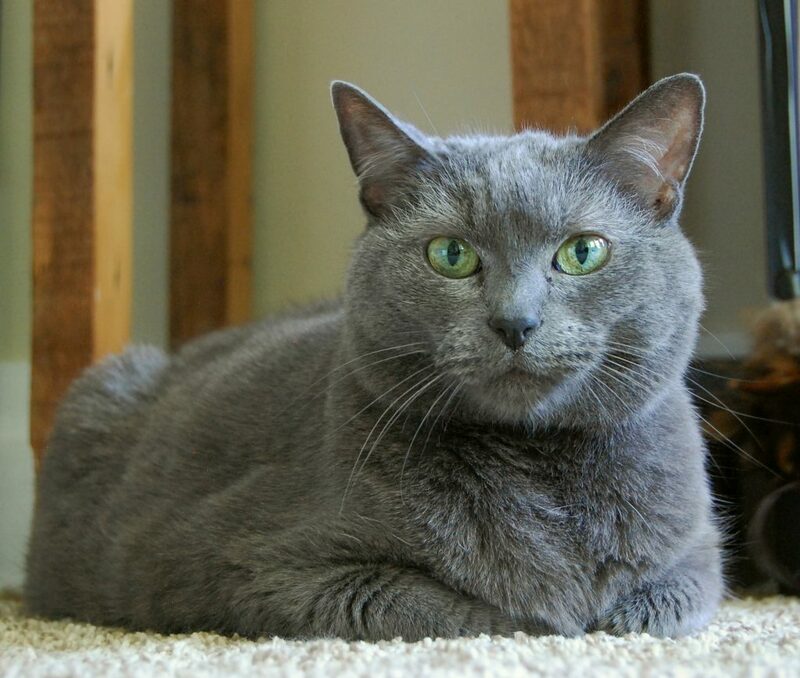 I am the beautiful Miss Sophie and I am waiting to steal your heart! 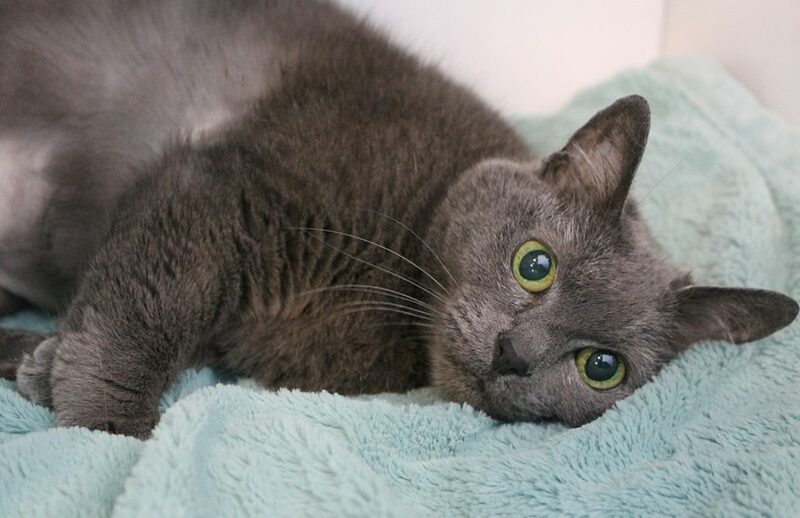 I am an adorable 11-year-old lady cat with the features of a Russian Blue — I’ve got big beautiful green eyes, soft, short blue fur, and (most importantly) an incredibly sweet and loving demeanor. Whenever someone offers me pets, I will roll over and start purring right away. I’ve got an adorable little meow and will call for attention when someone walks by without saying hello! I mean, just look how cute I am, how could you not say hi? Wherever my foster mom is, I’m always nearby, and I love to sleep on the bed with her, either on top of the blankets cuddled up against her leg, or buried under some pillows. It might be a little too soon to tell if I’m okay with other kitties or not, but my mellow demeanor makes me think I might do alright with another easy-going kitty like me. Pixie has already provided bloodwork and a dental for me, and I’m in really wonderful health. I’m just a roly-poly girl with a soft body and a soft heart — won’t you take me home? I’m currently living at Pixie, so come and meet me today! I come to you fixed, vaccinated, micro-chipped for an adoption fee of $80.